One thing i'd love to see is ground level pics of the emergency b-17 field in canterbury or sadly whats left of it now as i believe what was visable on google earth has now gone. Gunny thats right but check out the nzrifle site above for recent pictures. 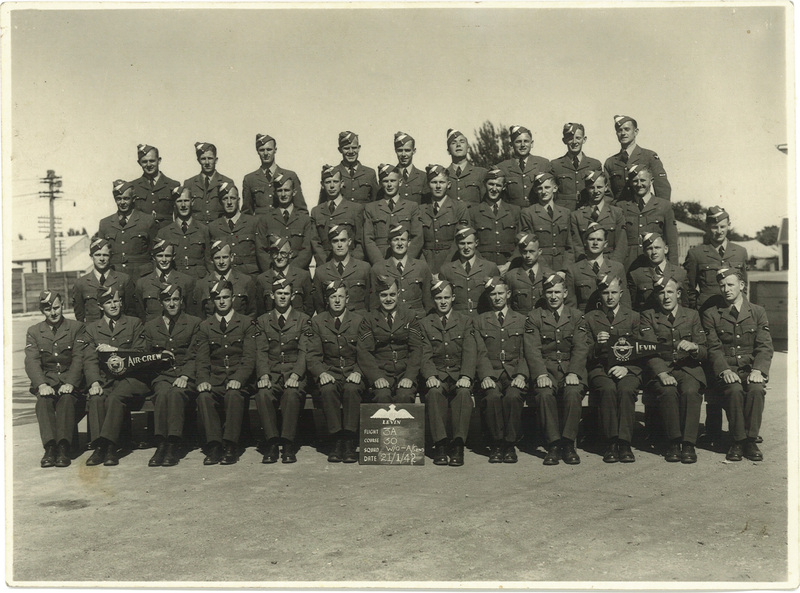 Andrew (Agviser1970) has provided a wonderful Course photo from ITW Wereroa, as part of research he is doing on his cousin, Ewen Elmslie (P/O Ewen McGregor Elmslie, RNZAF NZ417200, Bomb Aimer, 75 (NZ) Sqdn). 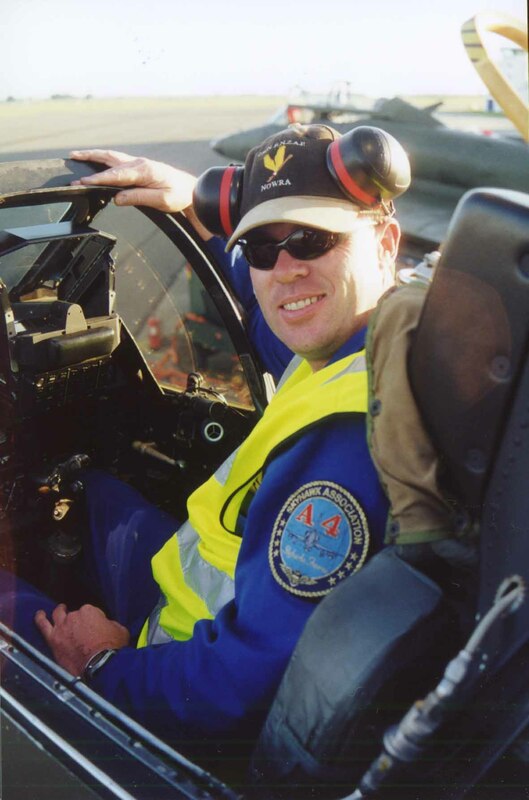 - Air Force Museum of New Zealand Official photo, courtesy of the Elmslie family. - full size version here 75nzsquadron.files.wordpress.com/2013/02/ewenelmslie-itwlevin-30course-210142.jpg. 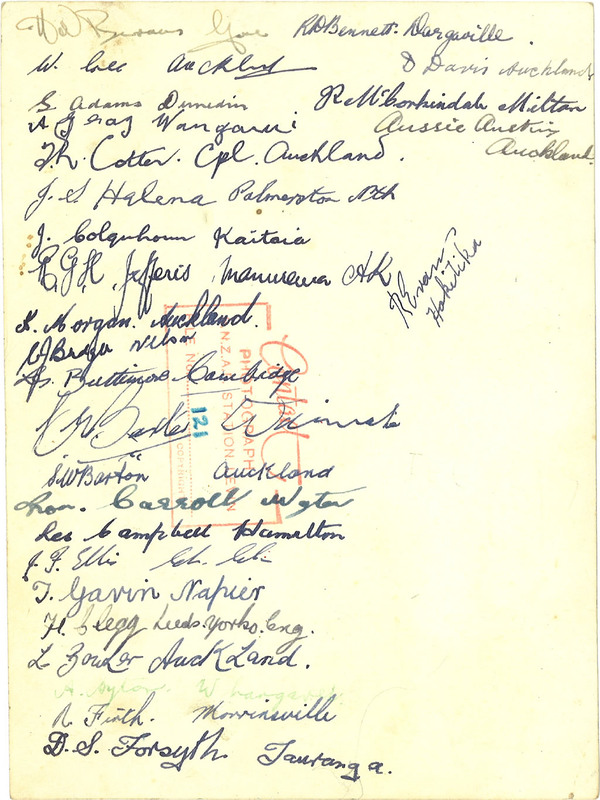 Dave H has very kindly helped us identify some of the names (including the very first signature, Vice President of the NZ Bomber Command Assn, Bunny Burrows! ), and has come up with a list - can anyone help us fill in the gaps? W. Gee Auckland Walter James Gee NZ41720 75 Extreme left, third row back? J.S. 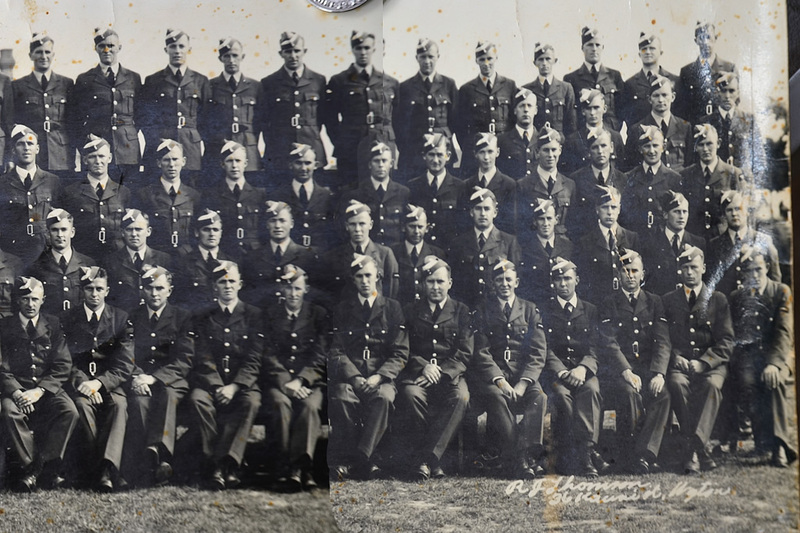 Hulena Palmerston North John Sebastian Hulena NZ41642 75 Extreme left, back row? during a raid on the Opel factory at Russelsheim.) 2nd to right, second row? Unable to resolve who R. Evans might be. Great work Errol, thanks for this info. Superb info there Errol. Thanks. And thanks Chris too! What info do we have on the Levin Municipal Aerodrome? Is that the same as Weraroa/Kimberley? As I understand it, it was across the road from, or adjacent to, Wereroa facility that became the Air Force Base. Prior to the war Wereroa was a boys training college for farming, I think. The Air Force took over the school and the airfield. For a while they operated Hudsons and Oxfords from there, as well as a strip for communications aircraft. Dave I think we are talking about different sites. When I did a search a few years ago the map I had showed a Boys Correctional Farm on the other side of SH1 in CD Farm Road with a landing strip close by. There still are institutional looking buildings there today. From todays maps Tararua Rd is one block closer to Levin than Kimberley so the airfield presumably ran between the two. Thanks to this thread floating to the surface I've just come across the wonderful photos posted in November 2013 of Observer course 19 at Levin. Thanks very much for posting those, fwx. I understand that my mother's cousin, Ron O'Neil, was in that course (10/2/41 - 11/4/41), though I have only one photo of him (taken later, probably in the UK) and haven't managed yet to match him to any of the figures in the posted photo. 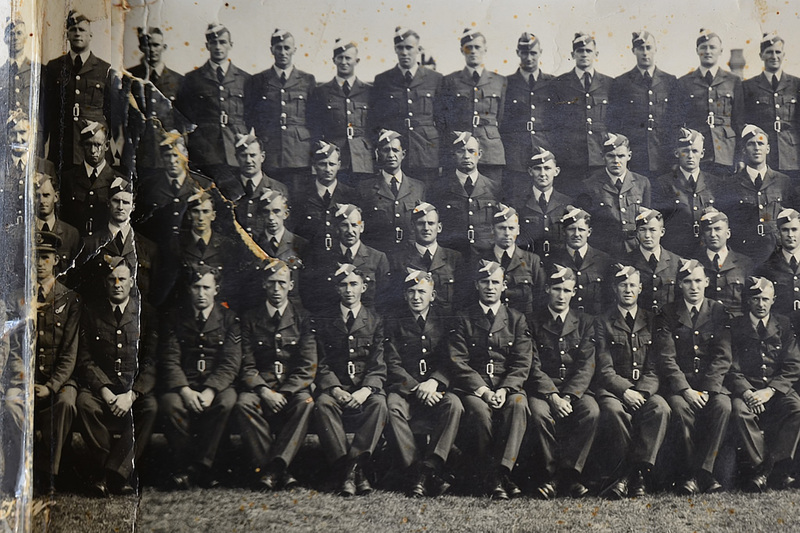 He served with 57 Squadron and was shot down twice. 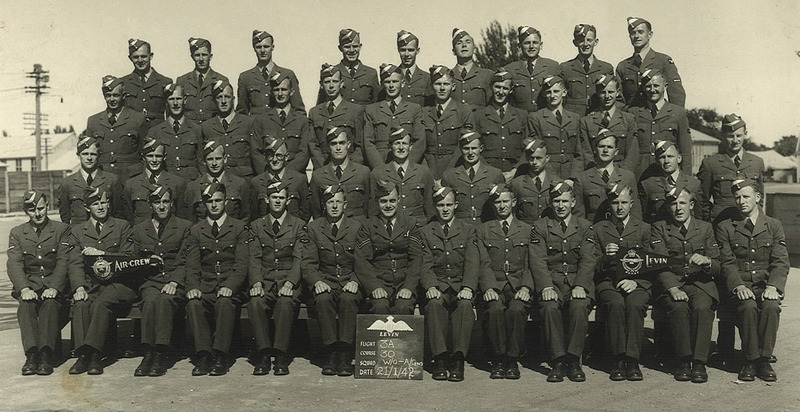 The first was in June 1942 when his Wellington went into the North Sea. Only three of the six crew survived. 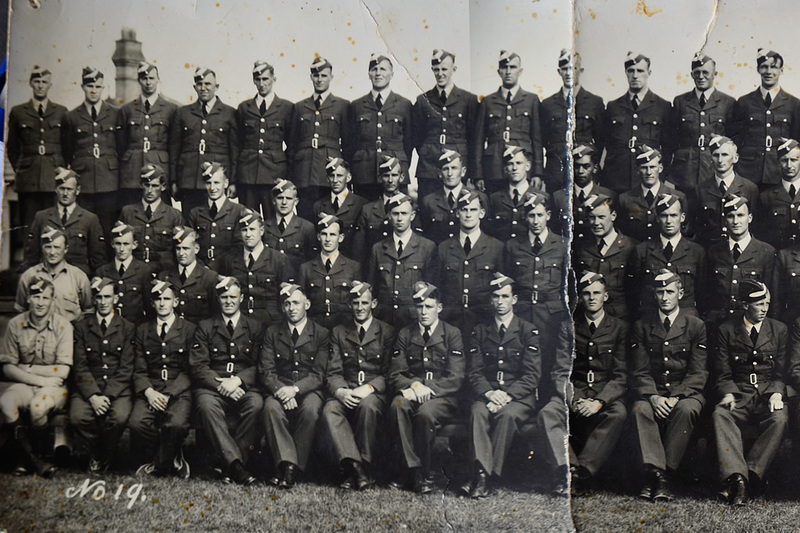 After several months of recuperation he was sent back to his squadron, now flying Lancasters from Scampton. He went AWOL for over three weeks on the journey back to base, for reasons we don't know; perhaps he was still getting over the trauma of ditching in the North Sea. He was nearly court-martialled but a sympathetic neuropsychiatrist recommended leniency, which was granted. On the second flight after that his plane was shot down over Hamburg; as far as I can determine actually in the massive Ohlsdorf cemetery in the city. His grave is in the CWGC section of that cemetery, and I laid a poppy on it during a visit last year. 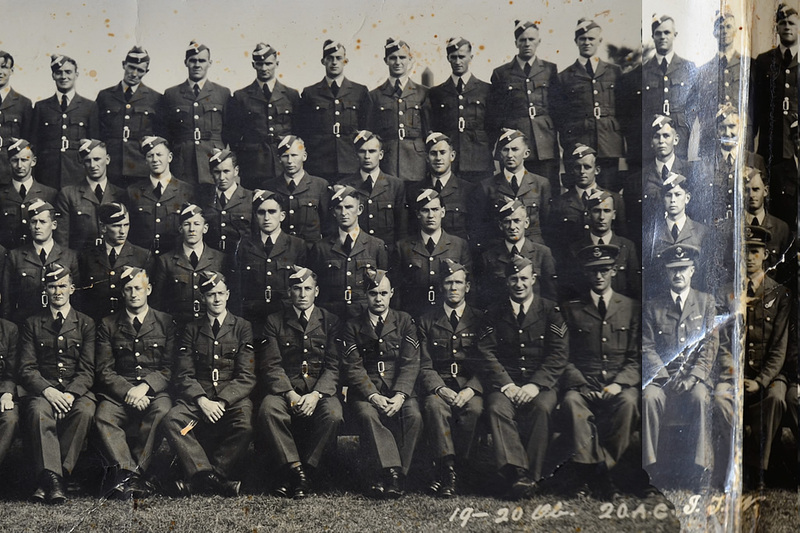 3rd from right back row is RGH Jefferis NZ 417210. He served a full tour with 514 squadron RAF Waterbeach in 1944 as wireless operator in the 'Carter Crew' PF Carter pilot and was a crewmate of my uncle Edward John (Ted) Neale rear gunner. 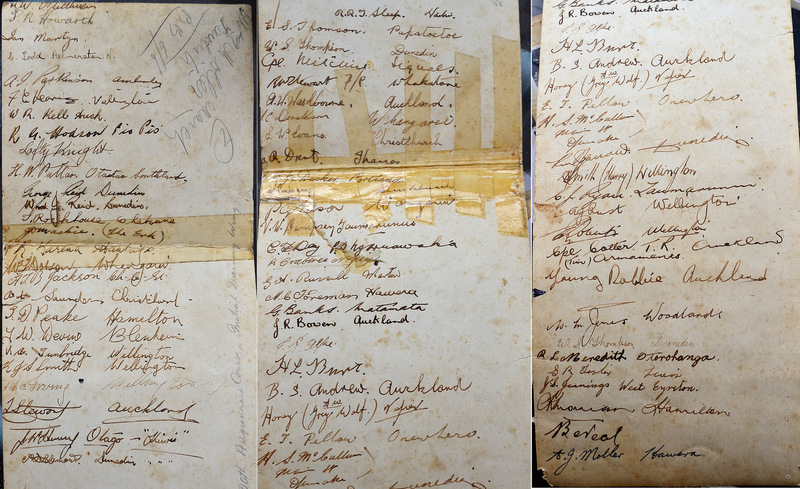 The full names and service numbers of some of those pictured can be found in the list below of Wireless Operator/Air Gunners u/t who were enlisted at Ground Training School, Levin over the weekend of 27/28 December 1941.